My mouth is watering just writing this post! This is a guilt-free, EXTREMELY tasty, addicting rhubarb crumble. It’s the kind of dessert that you make when your lactose, sugar-loving uncle tries, and then you laugh when you tricked him into eating a “healthy” dessert. It is easy to make, and your tummy won’t hate you when you engulf your last bite. Chill the coconut cream overnight to help separate the water from the cream. 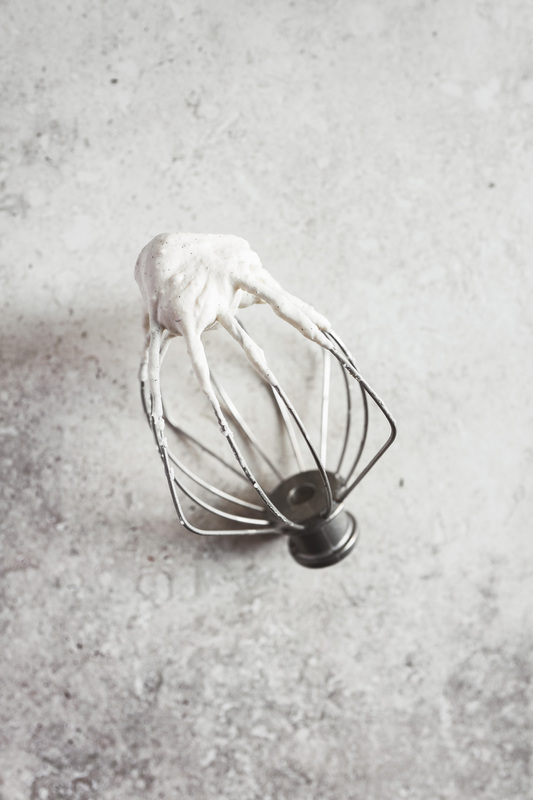 Combine all of the ingredients into a stand mixer or using a hand mixer whip until soft peaks. Cook rhubarb and honey on med low heat for 5-10 mins or longer depending on whether you like it chunky or smooth. Set aside to cool. Toast the almond meal in a pan over med heat for 3-4 mins until golden brown making sure to move it around so it doesn’t burn. 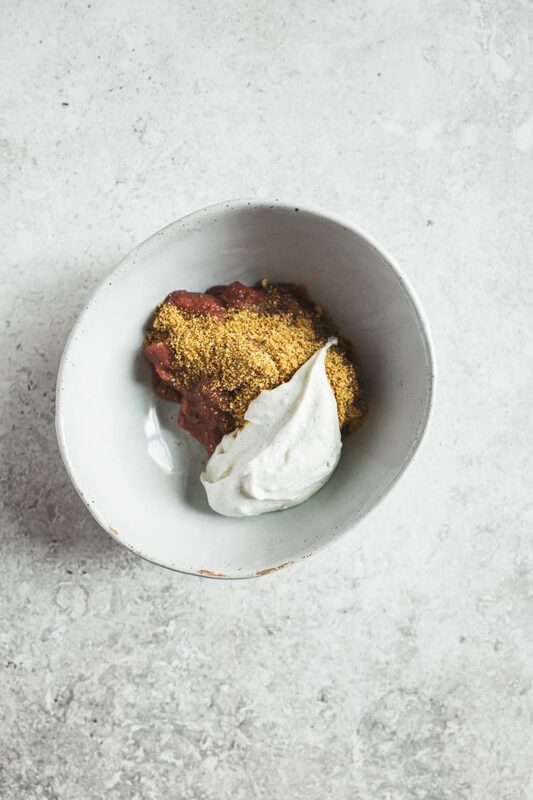 Divide the rhubarb into 2 bowls, top with toasted almond meal and a couple of table spoons of the whipped coconut cream.